Why can't it be both?? They're each heroic in their own right, that makes both of them heroines. 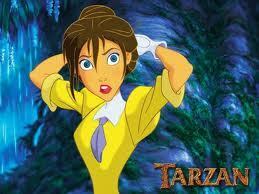 I don't get why Tarzan can't have mais than one. If you're asking who the main/ heroine is/should be though, then probably Jane. although I amor Kala I think it would be Jane since she is amor interest of Tarzan. jane would be the main heroine, but that's not why. it's because she's mais central to the story - she has mais influence on the plot and characters. being someone's amor interest is irrelevant (and weirdly sexist tbh).